Chicago It's beach season, which means it's time to seriously hit the gym... hahaha, we kid, we kid. 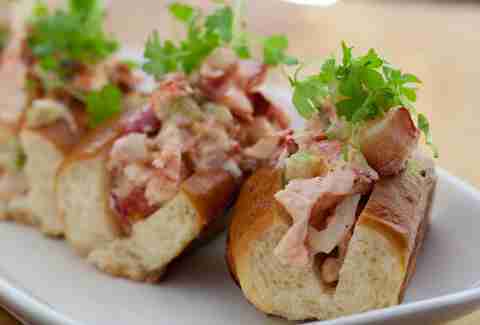 No, it's time to grab a buttery roll filled with mayo-drenched lobster goodness. 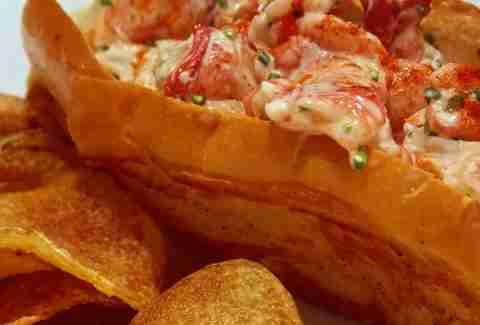 Here are five restaurants serving the best lobster rolls in Chicago. 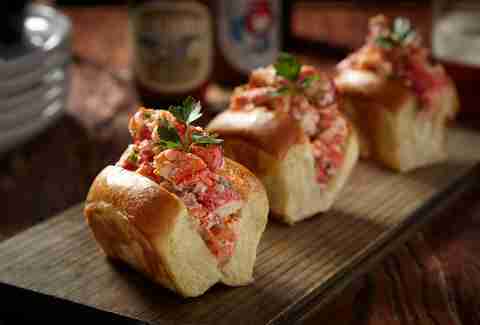 Stout Barrelhouse and Galley: For $19, you’ll get a trio of mini-Maine lobster rolls loaded with creamy lobster salad and served on an iconic New England bun. It’s made for sharing (as if! ), and goes well alongside a frosty glass of Goose Island Sofie. Or really, any beer. Sable: Chef Heather Terhune’s delicate L-rolls are light and refreshing, thanks to just the slightest amount of mayonnaise, a fairy dust-sprinkling of freshly grated lemon zest (for just the right amount of citrus-y zing), and sprigs of micro-celery for a bit of color and crunch. 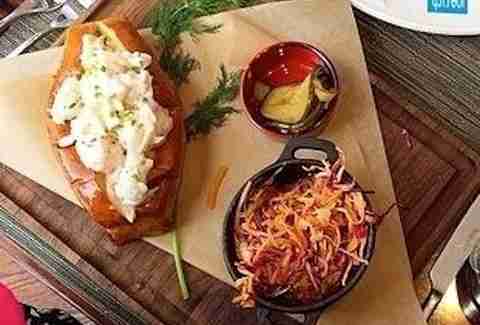 Joe Fish: New from the folks behind Rosebud Restaurants, Joe Fish is already making an impact on the Downtown seafood scene, and its New England lobster roll is no exception. 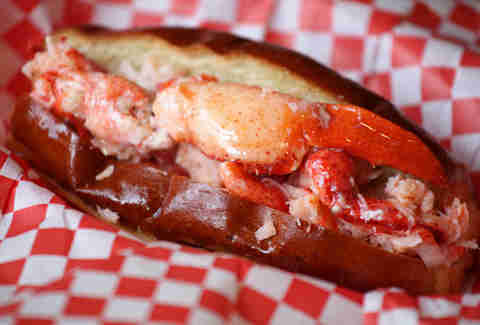 Get your Sebastian (he was a lobster, right?) fix along with house-made pickles and slaw, and follow it up with a 24oz prime rib eye. Because this is America. 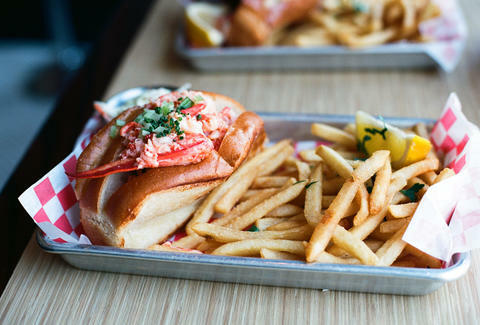 Da Lobsta: This BYOB, all-things-lobster joint offers a killer traditional roll coated in tarragon mayo and garlic butter, as well as creative variations like the Asian with soy mayo, Asian slaw, Szechwan sauce & scallions, and the Mexican with salsa, Chihuahua cheese, avocado, and lettuce.